Vishy Wins Rapid Chess Championship title After 14 years !!! What Viswanathan Anand had planned as time off from the board turned out to be his most successful week in chess in an otherwise forgettable year. The last-minute sign-up for the World Rapid and Blitz Championship in Riyadh ended up fetching him a title in a format he believed didn’t suit an aging multiple-time champion like him any more. But the mini fist pump on Thursday, a rare visible celebration, which came after beating Vladimir Fedoseev in a two-game tie-break to reclaim the world rapid crown, was what one had probably last seen him break into after his 1996 win over Garry Kasparov at the Credit Suisse Masters, a major PCA tournament at that time, in Geneva, Switzerland. It showed how much the victory at the fag end of an insipid year, where he’d knocked himself out of contention for next year’s Candidates line-up and a possible World Championship challenger berth, mattered. It was the perfect demonstration of his mastery over age and time. “I came into this tournament after a very difficult year — especially the London tournament was a big disappointment,” says Anand, 48. “To finish in last place was a heavy blow and didn’t seem to promise great things for this tournament either and my last two rapid tournaments have been nothing short of disastrous. I came with a pessimistic frame of mind but it has just been the most wonderful surprise. It was as though time had stood still.” Anand had last won the world rapid title in 2003. The five-time world champion had his tournament calendar chalked out early — slotting a family holiday in Kumarakom during the month’s break between the London Chess Classic, which concluded on December 11, and the next tournament in Wijk aan Zee on January 12. But a casual query from a friend at the world chess body Fide and some cajoling by wife Aruna got Anand to change his mind. It was somewhat similar to how he played and eventually won the 2014 Candidates. Then it had been friend and fellow GM Vladimir Kramnik who had got him to cancel his vacation with family in Tanzania and participate. To recover from all that went wrong and put the year behind him, Anand returned home to Chennai from London earlier this month and plunged headlong into a whole range of activities he usually doesn’t indulge in — from shopping, cake-eating to binge-watching Madagascar movies. The rapid and blitz tournament, which was announced late, was farther than the farthest thought on his mind. Having once ruled the format and earned the ‘Lightning Kid’ sobriquet, Anand did poorly at the St Louis rapid tournament in August. Following an awful outing, he ended ninth, even one spot below former world No. 1 Kasparov, 54, who was making his appearance at a competitive tournament after 12 years. In the immediate aftermath, Anand was to allude to age being more than just a number in faster time controls. “There’s a [age glass] ceiling, no doubt. I was once the poster boy for rapid chess,” he’d lamented then. The ceiling probably was only an imaginary one. But what moved him to board the plane to the Saudi Arabian city was the thought that any result couldn’t possibly be worse than what he’d already encountered. Five-time World Champion Viswanathan Anand stunned World No 1 Magnus Carlsen in the ninth round to win the World Rapid Chess Championship in Riyadh on Thursday, 28 December. Relieved after claiming his first rapid world title since 2003, Indian chess ace Viswanathan Anand said he entered the tournament in a “pessimistic” frame of mind, but managed to surprise himself and the world with an unbeaten campaign. The 48-year-old, who had been drawing flak from critics for a string of sub-par performances in the recent past, hit back in style – by winning the World Rapid title in Riyadh on Thursday, 28 December. Winning the match against the reigning champion in 34 moves, the Indian chess grandmaster remained unbeaten in the tournament. He came back strongly to bag the top position on a tiebreak after a three-way tie with Russians Vladimir Fedoseev and Ian Nepomniachtchi at 10.5 points from a possible 15. The Chennai ace then defeated Fedoseev 2-0 in a two-game tiebreak to win the trophy. Anand said he had had a particularly tough year coming into the event in Riyadh. “…especially the London (Chess Classic) tournament was a big disappointment. It is not that I had high expectations of London, but still I expected to do well. But to finish in last place was a heavy blow. Anand said he felt good on the first day of the tournament as he played well, and it reminded him of his glory days. He described the win against Norway’s world champion Magnus Carlsen as the crucial moment in the tournament. “The crucial moment was the win against Magnus Carlsen as he had come back after a defeat against Bu Xiangzhi. He seemed to be in great form, as always. He has this amazing ability to win games on demand where he is just able to pull together these long streak (of wins). So at that moment, I must admit, I felt he was a favourite for the final few rounds,” Anand said. “But, we had a very intense game, an intense Nimzo Indian. It is nice beating a player who is so dominant in the blitz and rapid rating lists. To beat him was a real accomplishment,” the Indian Grand Master added. Anand also said that towards the end, he got worried that he might not even secure a podium finish, but a series of unexpected twists and turns on the final day helped him land the top prize. “…the first three rounds ended in draws. I felt that I had lost the plot a little bit, and in fact, I was worried that I might not even be on the podium anymore. “I mean there were so many unexpected twists and turns. Magnus lost. Nepo (Ian Nepomniachtchi) had won his. A lot happened. But once the tiebreak started and I got a big advantage in the tiebreak game, then I started to feel the wind was behind me,” he said. “It is so unexpected because I wasn’t even planning to come to this tournament, which was announced late. The most amazing feeling of all is to have the title of world champion again. I am so happy that I can’t describe it in words,” he added. Meanwhile, his erstwhile rival, Russian great Garry Kasparov, hailed his triumph on Twitter. Starting and operating a school successfully is a herculean and complicated task that requires a team of experienced professionals who have had direct experience with all of the elements of school formation, and operations. Edvisor is a complete consultancy service – INSPIRING NEW AND EXISTING INSTITUTES TO SUCCEED. We specialize in Establishing, Developing, Managing, Operating and enabling growth for Schools coupled with Teacher Development, Assessment, ICT Management Solutions, Quality review & Control. Edvisor is dedicated to provide customized turn key solutions to help independent schools to excel and stay up breast with the latest in schooling systems around the globe. It is imperative for Edify Schools to have the latest and high quality science lab supplies. Science is different from any other subject. In order to understand its concepts, one has to look beyond the books and conventional classroom teaching. Edify Schools believe that effective teaching and learning of science involves seeing, handling, and manipulating real objects and materials. The knowledge that kids attain in classrooms would be ineffectual unless they actually observe the process and understand the relationship between action and reaction. The Science lab equipment allows students to interact directly with the data gathered. They get a first-hand learning experience by performing various experiments on their own. Edify school students are made to use the models and understand different scientific theories and concepts. It is also found that school science lab equipment and supplies make teaching and learning easy both for the teachers, as well as for the students. There are several scientific theories and concepts that are difficult to explain directly from the books. Anatomy models, physics science kits, and chemistry science kits for instance make it easy to understand the otherwise complex theories of science. By virtue of equipping themselves with the latest and the advanced materials and supplies, Edify Schools are able to contribute a lot in the scientific advances yet to come. Our children develop interest in scientific research in science labs. When our children observe things and carry out different experiments, their reasoning skills are honed and they start thinking deeply on those theories and concepts. Thus Edify Schools thus play a vital role in bringing up the next generation of engineers and doctors. 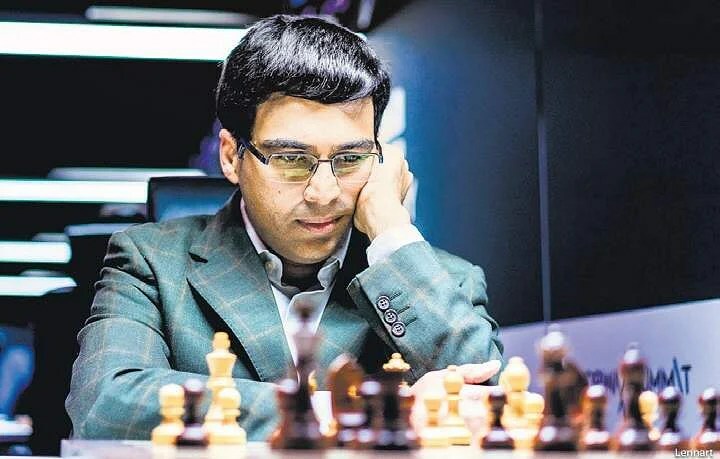 The world chess champion Vishwanathan Anand announced his association with MDN Edify Education Pvt Ltd. as its Brand Ambassador in a press conference held recently. “With ‘Think Beyond’ as its motto, our school is driven to promote child centric and individualised learning through innovation and unbeatable commitment to excellence. These are the same qualities that are perfectly embodied by Viswanathan Anand, whose unmatched track record,laurels, sporting honours and keen intellectual temper, make him an apt choice to be the face of the School” stated Mr. Dayanand Agarwal – chairman MDN Edify Education. As Anand is synonymous with his wizardry in chess, MDN Edify Education Pvt Ltd., since its inception, is well-known for its progressive model of education that is strongly application-oriented and soundly imbued with a rich blend of both traditional and progressive values. “A passion for critical thinking and conceptual understanding underpins its rigorous international 3C Curriculum. Edify’s approach to teaching and learning is based on its extensive research and the school is well-known for its innovative pedagogy. So, I extend my support to the school’s vision of creating a successful and dynamic balance between curricular and co-curricular aspects through constant innovation and well-researched pedagogy” emphasised Mr. Vishwanathan Anand. to set new benchmarks for itself and its competitors in terms of creating progressive educational solutions and support systems. awarded with the prestigious Globe Platinum Award 2016 in the ‘Most Innovative Brand’ category by Price Waterhouse Cooper. We are proud that our school is part of such a great educational legacy. The schools take after the CBSE syllabus which can be incorporated with the International Baccalaureate IB PYP Primary Years Programs from Kindergarten to Grade V. The uniqueness of our schools to a great extent lies in this mixed approach of offering the best of Indian substance utilizing the best of the International Methodologies. The MDN Edify Schools take after the universally endorsed tradition of a 12:1 understudy instructor proportion to upgrade the learning procedure. General field trips are sorted out in light of our 3C Curriculum to enable youngsters to comprehend the Inquiry Module in advance. All through the learning procedure, both the understudies and instructors are effectively engaged with evaluating the understudy’s advance. Understudies frequently survey their own particular work and ponder their own particular learning process. Instructors bolster the understudies in evaluating their own particular work by giving appraisal criteria’s. Understudies experience all the appraisal ventures through the Pre-Assessment, Formative Assessment and Summative Assessment. Parent educator gatherings are held frequently in which the instructors appear through changed mediums how the understudies perform and act in the class and how the understudies have advanced over a day and age and the guardians too give their point of view. Understudies keep up what they consider their best work altogether in an understudy’s portfolio. This enables the understudies self-to survey their execution and learning. The portfolio is shared by the understudies with their folks in a Student-Led Conference. This gathering enables the understudies to assume a dynamic part in detailing their advance to their folks. The understudies likewise put – up an Exhibition in which they grandstand their Inquiry Module which additionally demonstrates the move they would make and it concentrates on the worldwide issues as well. The subjects are not compartmentalized and the educational programs offers a consistent combination of classroom exercises with other fundamental Life-aptitudes important for understudies to rise as pioneers in reality. Square with significance is given to building up the psychological and psychomotor aptitudes of understudies. Separated and kid particular showing techniques enable the facilitators and understudies by letting them to move far from standard scholarly information, to incorporate the astounding scene outside the grounds. Rather than being secured by data gave in the classroom, the understudies of Edify Schools are permitted to investigate their scholarly offices, by observing and doing things themselves. The International General Certificate of Secondary Education (IGCSE) is a globally recognised qualification, offer by the world famous University of Cambridge . IGCSE,formed in 1988, It develops and encourages vital educational skills, including oral skills, investigative skills, problem solving, team work, recall of knowledge, and initiative.. The IGCSE programme has worldwide status and credibility. In India, the course is delivered in over 200 schools .. It is recognised by the Association of Indian Universities (AIU) as being at par with CBSE, IGCSE, etc. Schools worldwide have helped develop Cambridge IGCSE. It incorporates the best in international education for students at this level. It develops in line with changing needs, and is regularly updated and extended. Cambridge IGCSE teachers can draw on excellent resources, training and advice from subject experts. How does the IGCSE compare to other programmes like CBSE, IGCSE or the Middle Years Programme of the IB? Like other modern programmes, IGCSE offers a wider range of subjects and encourages high academic standards through a practical approach to teaching and learning. Assessment is not limited to conventional written papers and they consist of a variety of tests e.g. oral and listening tests. IGCSE is a balanced curriculum and a flexible course of study. Most subjects offer a choice between core curriculum and extended curriculum. This gives students of all ability levels the freedom to choose subjects that are right for them and, thereby, the opportunity to score good grades. The core curriculum is an overview of the subject and is suitable for students who are expected to achieve grades C to G.
The vision behind introducing the e-classroom in Edify Schools, was to help educators learn about the latest technology and how it can be integrated and applied as a powerful learning tool in the curriculum. E-classrooms were created and designed for students and facilitators to attain these technological skills. By integrating technology in the classroom, facilitators are able to teach their students as to how to use 21st century technological skills now and in the future. The e-classrooms at Edify has partnered with ‘Edurite’ to provide resources specially designed to enhance the research skills of the students. We at Edify Schools believe in learning beyond the books and cater to the changing dynamics of knowledge through the power tool called technology. It is imperative for Edify Schools to have the latest and high quality science lab supplies. Science is different from any other subject. In order to understand its concepts, one has to look beyond the books and conventional classroom teaching. Edify Schools believe that effective teaching and learning of science involves seeing, handling, and manipulating real objects and materials. The knowledge that kids attain in classrooms would be ineffectual unless they actually observe the process and understand the relationship between action and reaction. The Science lab equipment allows students to interact directly with the data gathered. They get a first-hand learning experience by performing various experiments on their own. Edify school students are made to use the models and understand different scientific theories and concepts. It is also found that school science lab equipment and supplies make teaching and learning easy both for the teachers, as well as for the students. There are several scientific theories and concepts that are difficult to explain directly from the books. Anatomy models, physics science kits, and chemistry science kits for instance make it easy to understand the otherwise complex theories of science. By virtue of equipping themselves with the latest and the advanced materials and supplies, Edify Schools are able to contribute a lot in the scientific advances yet to come. Our children develop interest in scientific research in science labs. When our children observe things and carry out different experiments, their reasoning skills are honed and they start thinking deeply on those theories and concepts. Thus Edify Schools thus play a vital role in bringing up the next generation of engineers and doctors. DRS Group of companies commenced its operations in transportation & logistics about two decades ago, has today grown into a renowned business house of national repute with diversified interests in warehousing, pharma, aluminium, relocation and education segments, with a combined turnover exceeding INR 500 crores. “Winning the customer’s trust and delighting him with the quality of our products and letting the innovative and value added services automatically pave the way for achieving the objectives of our business “. And this focus has resulted into numerous awards and accolades to our credit which further motivates us to better our previous best. Edify School educational tours provide valuable educational opportunities away from the classroom, textbooks and other tools which are used normally in school. Students on Educational Tours have the opportunity to learn while having fun and that too in a more informal environment. During Educational Tours, the facilitators have a chance to have hands-on teaching and knowledge sharing time with the students, for example an outing to a science center or historical museum where the students are excited to learn about things from these new sights. It is an ideal situation where students and teachers can bond outside the classroom and where new educational environments and experiences are possible. Students have the opportunity to observe many things that are not available at school, including exotic wildlife, rare plants and maybe even the stars if the Educational Tours is to a planetarium. The Educational Tours are discussed beforehand because it allows students to know what they will experience during their time away from school. Getting away from the everyday atmosphere of the classroom gives students an opportunity to spend time with each other in a new environment. They are able to connect on more of a personal level without the structure of the normal school day. Students are able to spend much of the educational tour days in small groups, observing, chatting and learning about each other. Having an Educational Tour allows students to bond with classmates they don’t know very well. Part of how students benefit from educational tours is by gaining new perspectives on the world. This is especially true for more extensive Educational Tours where students travel farther away from home. By coming into direct contact with a different environment or even a new culture or language, students of Edify Schools can understand their place better in the community and develop openness to differences in others.